Bella-Mia Apartments, located in Windhoek, Namibia, caters primarily for the independent, self-drive tourist and business people, who prefer an elegant and tranquil environment! 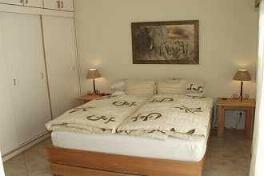 Situated in the Klein-Windhoek valley, offering quiet, cozy and comfortable apartments. 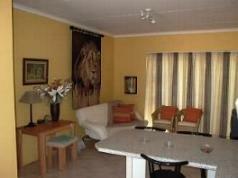 The Klein-Windhoek shopping centre and restaurants are within walking distance and a 5-Min. drive will take you to the centre of town. One-Bedroom apartments (2 persons), en-suite, Launch (Langue) with sleeper couch (sleeps 1 to 2 persons), satellite-TV, bed linen & bath towels, fully equipped kitchen, own garden, grill and secure parking. 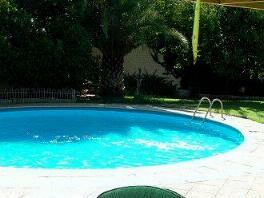 Bachelor apartments (1-2 persons), en-suite, satellite-TV, bed linen & bath towels, fully equipped kitchen, own garden, grill and secure parking.